06.02.2015 At its upcoming session, the UN Human Rights Council (HRC) will have before it the “Report of the United Nations High Commissioner for Human Rights on the situation of human rights in Colombia ”.] 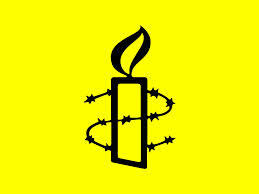 Amnesty International reiterates its support for the work of the High Commissioner’s Office in Colombia and welcomes the renewal of the Office’s mandate until 31 October 2016. Its monitoring role has been particularly important in exposing the abuses that have been the hallmark of the long-running armed conflict, and the Office will be instrumental in ensuring that respect for human rights, including the right of victims to truth, justice, reparation and guarantees of non-recurrence, are placed at the heart of the peace process. This statement presents an overview of Amnesty International’s concerns in Colombia, with a focus on 2014, and recommendations to the HRC. The peace talks between the Colombian government and the Revolutionary Armed Forces of Colombia (Fuerzas Armadas Revolucionarias de Colombia, FARC) continue to make progress. The two sides have reached partial agreements on three of the six agenda items, and issued a 10-point declaration on the fourth agenda item on victims’ rights. The willingness of the two sides to begin talks on a bilateral ceasefire, following the FARC’s decision to implement a unilateral ceasefire in December 2014, and the possibility of formal talks between the government and the National Liberation Army (Ejército de Liberación Nacional, ELN), also bode well for efforts to put a definitive end to hostilities. In the 10-point declaration on victims’ rights, the government and the FARC acknowledged their responsibility in human rights violations and abuses and that victims’ rights lie at the heart of the peace negotiations and are non-negotiable. These commitments are long overdue. However, the two sides have failed to make an explicit commitment to guarantee justice for all victims of the conflict in line with international human rights law. This lack of an explicit commitment, coupled with government efforts to promote legislation that would make it more difficult to prosecute alleged perpetrators in ordinary civilian courts, could undermine the long-term viability of an eventual peace agreement. In spite of the peace process, the security forces and paramilitaries, either acting alone or in collusion with each other, as well as the FARC and ELN, continue to commit human rights violations and abuses and violations of international humanitarian law (IHL), especially against Indigenous, Afro-descendent and peasant farmer communities, women and girls, human rights defenders, community leaders, trade unionists and land claimants.